Caitlin and Peter are not from Utah but they have made their home in the mountain town of Park City. 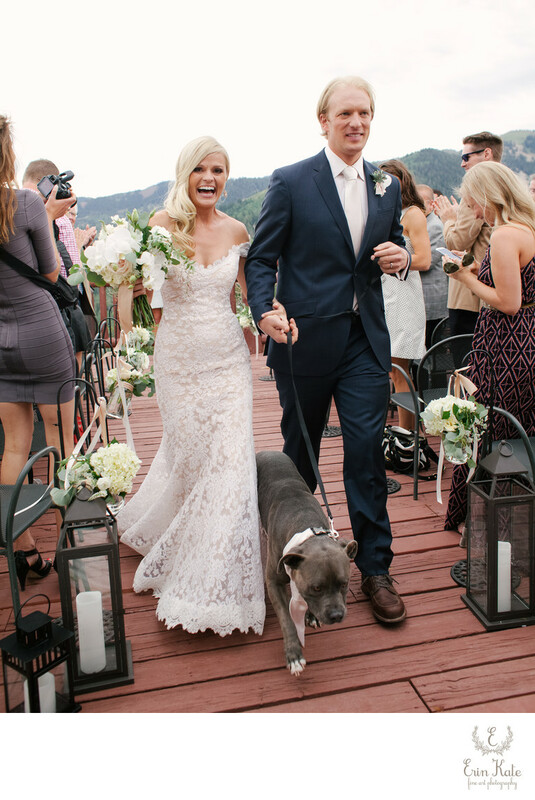 It was only fitting to bring all of their family and friends from around the country to the mountains that they love so much to celebrate their nuptials. They wanted their guests to have a true ski town experience. 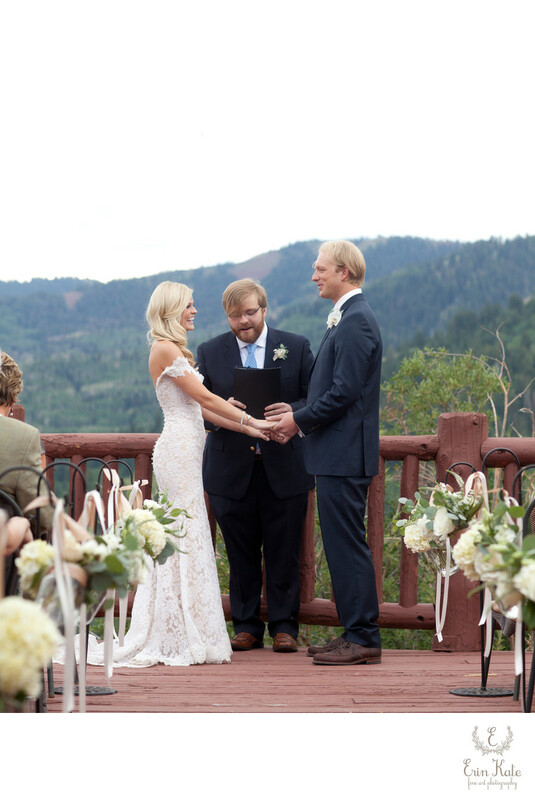 For their summer wedding they chose to get married at Lookout Cabin which is situated at the top of the Canyons Ski Resort. Guests were treated to champagne just before they hopped on the Orange Bubble chair lift that took them up the mountain to the ceremony site. The mountain views served as the backdrop for their entire celebration...dinner inside the cabin and dancing under bistro lights on the outdoor deck. Caitlin and Peter chose to do a first look. Earlier in the day we rode the gondola up to the Red Pine Lodge area of the mountain for their photo session. 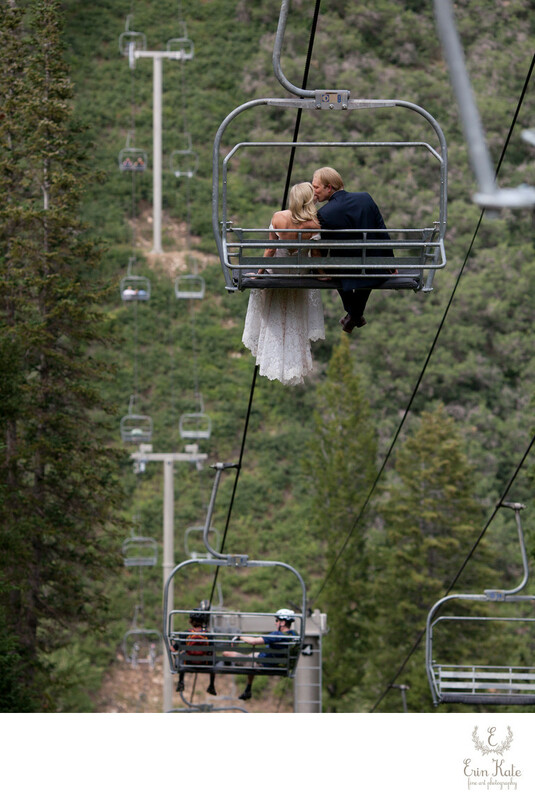 We spent some time using the different landscapes for photographs...grassy meadows, pine tree forests, and even rode the Shortcut chair lift for some fun ski resort wedding photographs. Some of the most important photographs for Caitlin and Peter included their sweet dog. I'm a dog lover so I totally understood! He was there for the entire party and even was represented as a cake topper! Location: 4000 Canyons Resort Dr, Park City, UT 84098.